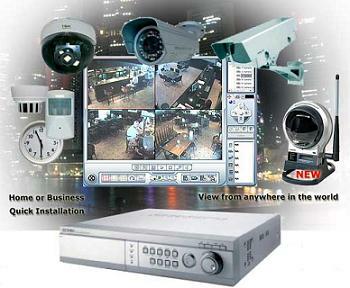 Thomas locksmiths offer a complete home or business CCTV solution for all your needs. Whether this be a one camera or 16 camera system. Viewing can be enabled on your mobile phone, tablet, laptop or computer anywhere in the world. We have the solutions. Home systems can range from £150 upwards and nearly all systems now can be viewed and cameras positioned with a smart phone or standard internet browser. Business systems are usually bespoke to individual requirements and prices vary depending on the system. We service and maintain a large range of systems and offer very competitve service contracts. Call today for a free no obligation quotation or free expert advice to suit your needs.